Businesses use storytelling to inspire the people who work for them and sell the next great idea. Teachers use stories to help students learn concepts. Journalists tell important stories that help citizens understand the world around them. And, of course, writers and creators use stories to take us to new worlds through film, books, songs, video games, comics, and more. Being able to tell a great story is an invaluable skill. It’s no secret that storytelling is powerful. In fact, our brains even act differently when we hear a story instead of just hearing facts and figures. But good storytelling is hard work, and it takes a lot of planning and thought. Look no further than these famous writers’ outlining methods for proof. The next time you’re trying to weave the perfect narrative, don’t reach for a notebook or a napkin to scribble notes or start an outline. Instead, try using a mind map to boost creativity and think through or organize the story you want to tell. Why do mind maps work for storytelling? The best stories bring many parts together into one complete vision, just like a puzzle. To craft a story, first you need to have a general idea of the overall picture you’re trying to paint. Mind maps help you do that. Working from one large map also helps you more easily introduce new ideas, ask the right questions and build up the details of your story so that when you’re ready to start writing, you have what you need. Especially when you’re starting from scratch, you don’t want to be boxed in with a linear format like an outline or text notes. Mind maps give you the freedom to explore all the different paths your story could take and connect story elements in important ways to weave an effective narrative. Methods like outlines also don’t easily allow for visuals like mind maps do. Images or graphics can provide inspiration and act as references as you shape your story. Say you needed to go into detail describing a scene. Having a picture right there in your mind map to look at can help you think up the perfect descriptive language. 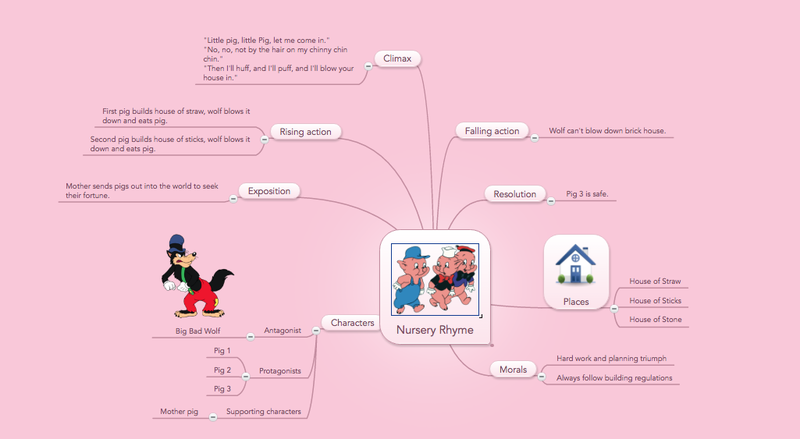 There are lots of different aspects of storytelling which mind maps can help with. There’s nothing worse than sitting down to write and coming up empty. The next time you experience a bout of writer’s block, start a mind map. Once you have an idea you want to pursue, use mind maps to pin down your story’s key take-aways and hone in on what you most want your audience to walk away thinking, feeling or knowing. 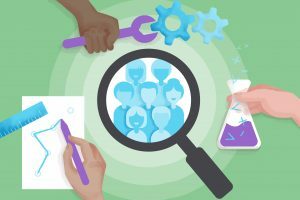 “Every storytelling exercise should begin by asking: Who is my audience and what is the message I want to share with them?” says writer and editor Carolyn O’Hara. 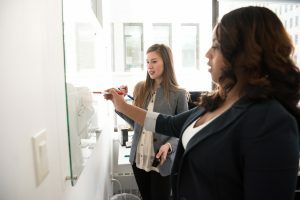 “For instance, if your team is behaving as if failure is not an option, you might decide to impart the message that failure is actually the grandfather of success. 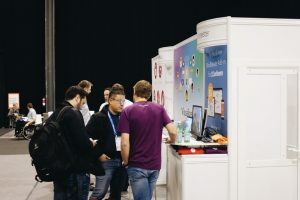 Or if you are trying to convince senior leaders to take a risk by supporting your project, you could convey that most companies are built on taking smart chances.” Whatever that key message is, you can use it as the central idea of your mind map to figure out the best way to impart that lesson. Another way to focus your story if you’ve already drawn a map is to go through the map and highlight the most promising concepts or ideas of your narrative. You might end up stripping out ideas that don’t get highlighted or making new maps that focus on just those key items you’ve identified. You can easily reinforce crucial relationships between characters, scenes and plot points using arrows. This helps to add context and think through meaningful connections you might want to emphasize when you start writing. For example, a mind map might help you realize that two characters share the same values or uncover connections between a character’s past and his or her actions. We all know that one person who loves to point out plot holes in movies. And plot holes can keep even the most experienced writers up at night. Mind maps make it easy to spot unfinished plot points or dangling threads in your story. “Since a mind map is not linear, blank spaces are not only forgivable, they become compelling reasons to think more about the story you’re developing,” writes Paul Donovan Campos. If you’re a business storyteller, this can be really useful when telling your brand story because the map can help you anticipate where your audience might be skeptical or have questions. Mind maps help add layers to a linear plot, and while you work on your map, you’ll likely spot natural subplots and develop context around your story. You’ll be able to better understand how your story fits into the bigger picture through mapping it. 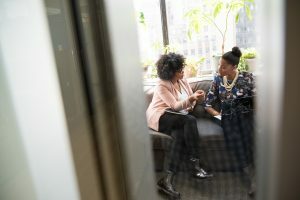 For example, if you’re telling a story about leadership to your company, a mind map can help you understand how to frame that story in the context of your company’s mission and values. If you’re creating a whole new world with your story (think Harry Potter or Game of Thrones) mind maps can help you create a world that seems real. 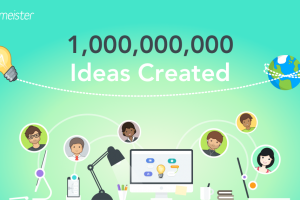 And with a mind mapping tool like MindMeister, you’ll never run out of room like you would on paper, so you have the freedom to go deep into the details. 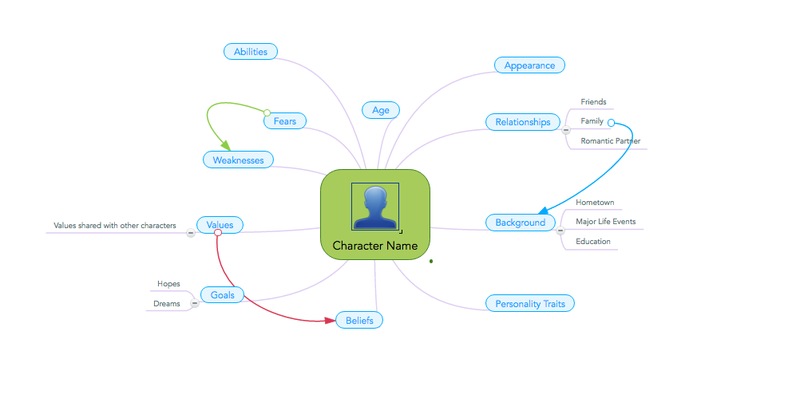 Mind maps can also help you write characters who are true to life. Through mind maps, you can freely explore your characters’ communication styles, history, appearance, relationships, defects, and ambitions. Then when you’re writing, you can reference your character mind maps to think through what they would do or say in a certain situation. When I’m writing an article or blog post, I always leave the intro and conclusion for last. Introducing a story and wrapping it up can be the toughest part of writing. Mind maps give you the big-picture view of your story, making it easy to spot natural points where your narrative could start and finish. And because of their free structure, you can more easily reorganize elements in a mind map to make sure your story flows well from beginning to end. If you’re telling your story in front of a live audience, practice can help you become a lot more comfortable. Whether you’re pitching a product, trying to motivate a crowd or drive an audience to action, practicing your presentation with MindMeister’s presentation mode can help you calm your nerves and boost your confidence in your storytelling abilities. 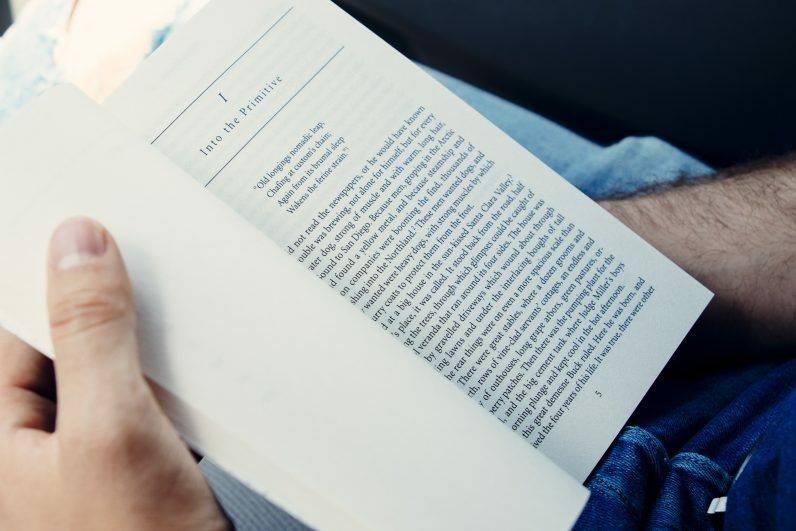 Maybe you’re a CEO hoping to energize your employees with a story at your next company gathering, or perhaps you’re aiming to become the next J.K Rowling. No matter what kind of tale you’re telling, mind maps are a useful tool that can help you go from a blank page to a complete story that improves understanding, entertains or inspires. Get Started with Mind Mapping! 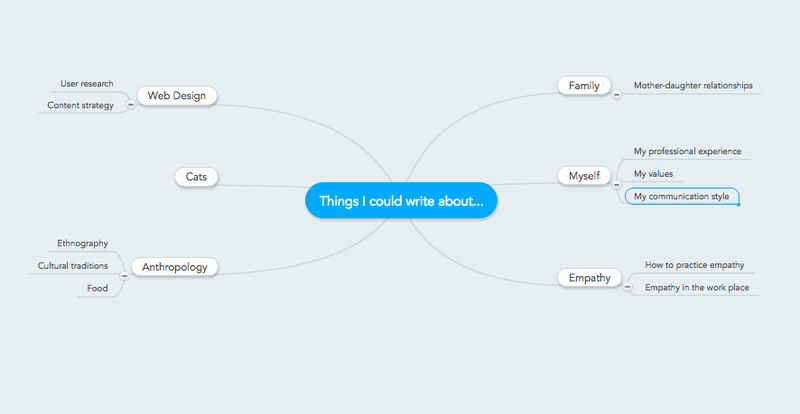 If you liked this article you might also enjoy: How to Create High-Value Blog Content with MindMeister and Your Kindle.